1.5(6)A, 5(30)A, 10(60)A, 20(80)A, Etc. Smart Card Prepayment Energy Meter used the entire digitized electronic meter special-purpose chip group.As a good digitized electronic metering device, it take integrated circuit card as to pay the bill. It's a new generation of products, it has the smart charge control and the user information management the multi-purpose functions and so on. It is an ideal product on the current situation of reforming electric power consuming system, commercializing electric power, solving the problems of the collection of charges, as well as adjusting load state of electrical network. It is a new generation product that is developed by our company adopting the newest international micro-technique and the newest international electronic currency-IC card as purchasing electricity media. This meter has many functions such as electrical energy calculation ,load control and mangement of user informations, etc.,specially for currently,this meter is the best use for solve charge question. 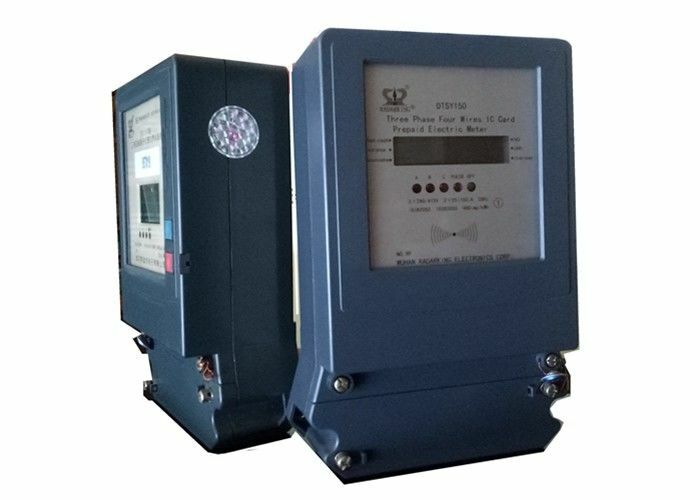 The product can be installed in the electric meter box,indoor or outdoor,the ambient temperature is -25'C - +60'C.The relative humidity is less than 85%. And the meter confirmed by CE and ISO9001-2000 standards.